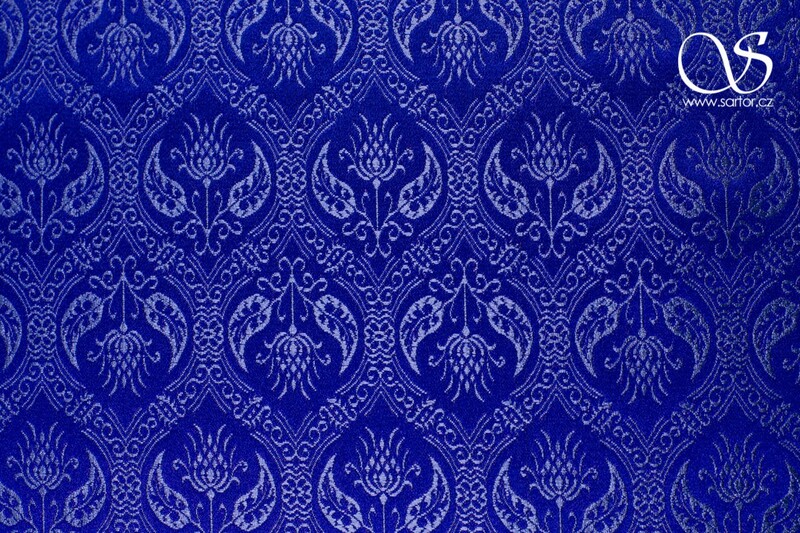 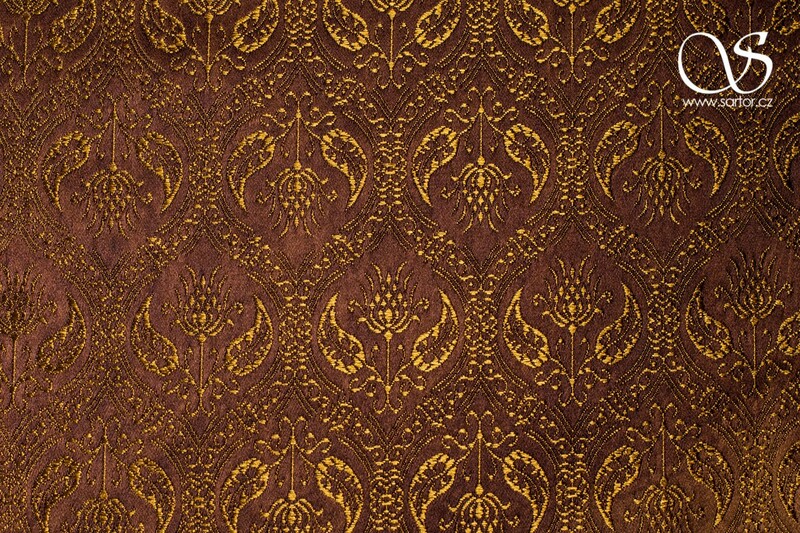 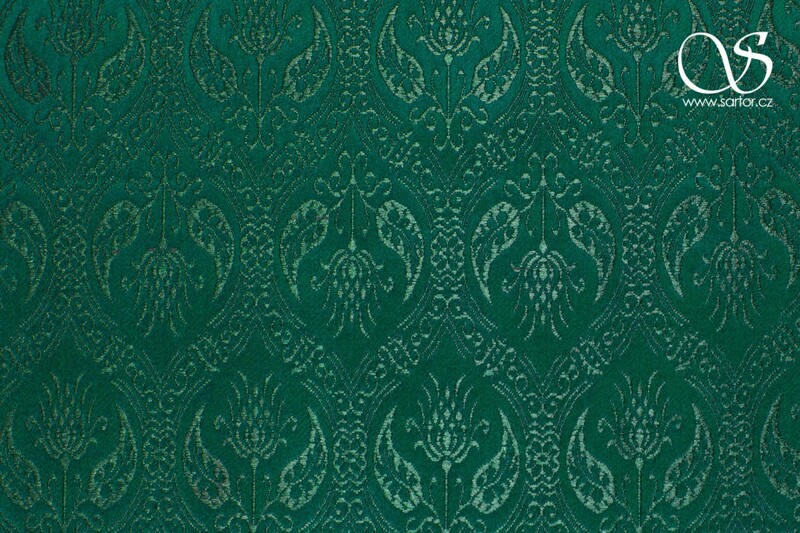 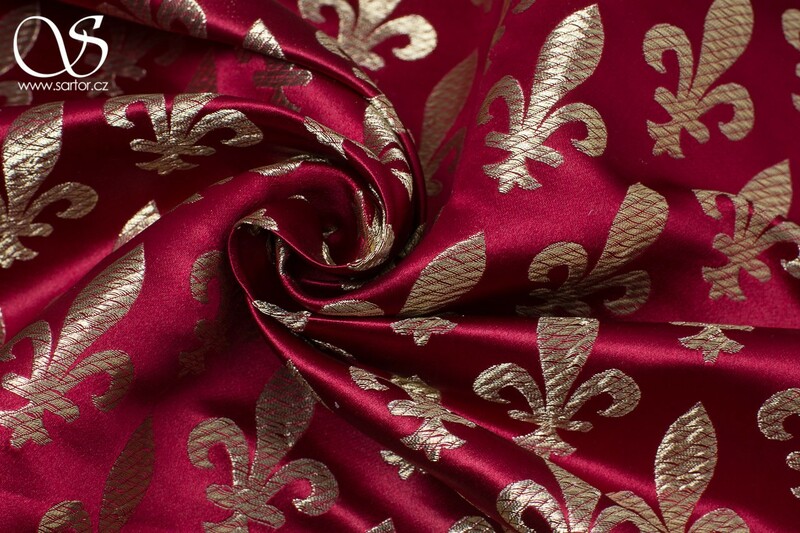 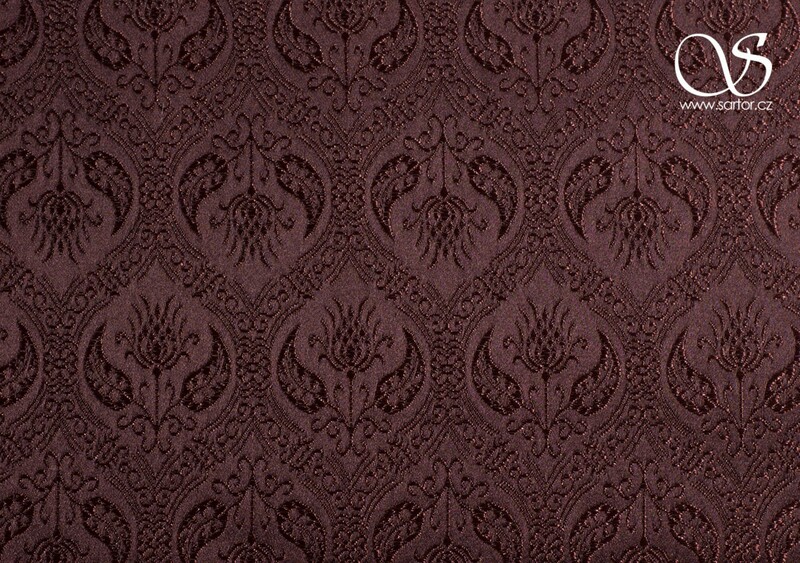 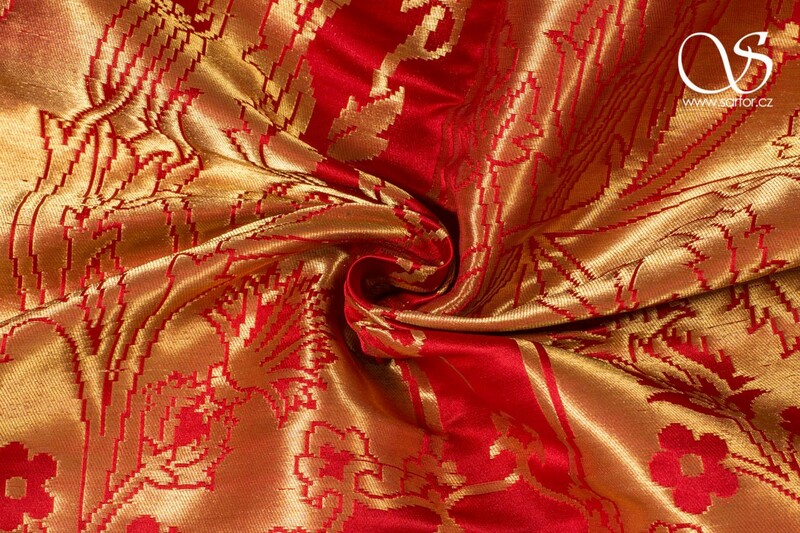 Replica of historical brocade with the famous fleur-de-lis pattern. 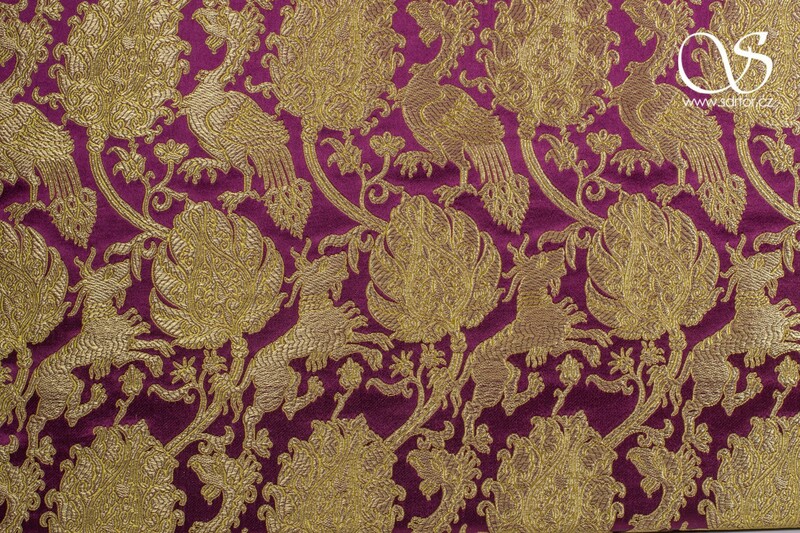 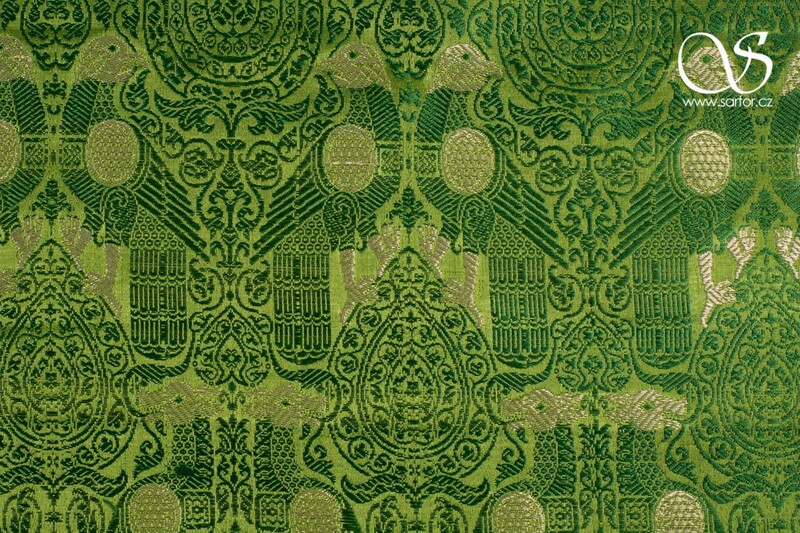 Our reproduction is based primarily on the preserved original Sicilian brocade from the 13th century. 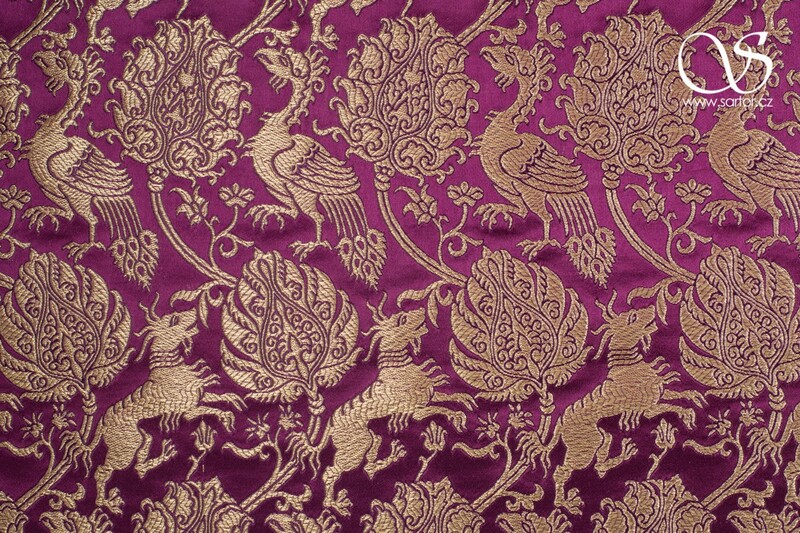 The fabric is decorated with heraldic pattern of lily - a symbol of purity. 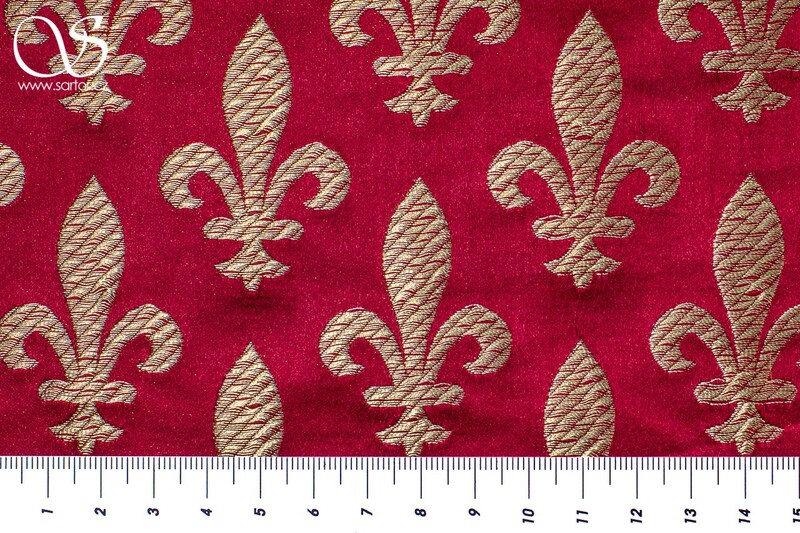 This motif was abundant on textiles through the Middle Ages up to the baroque. 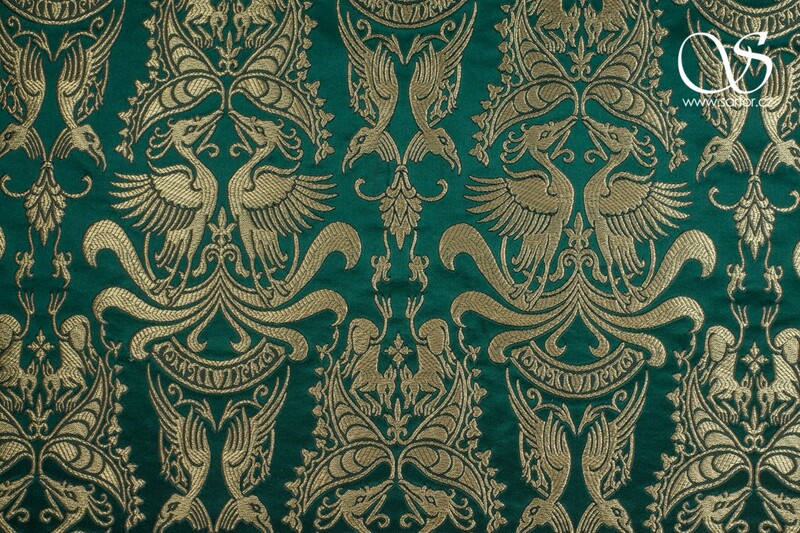 During the reign of Louis VI. 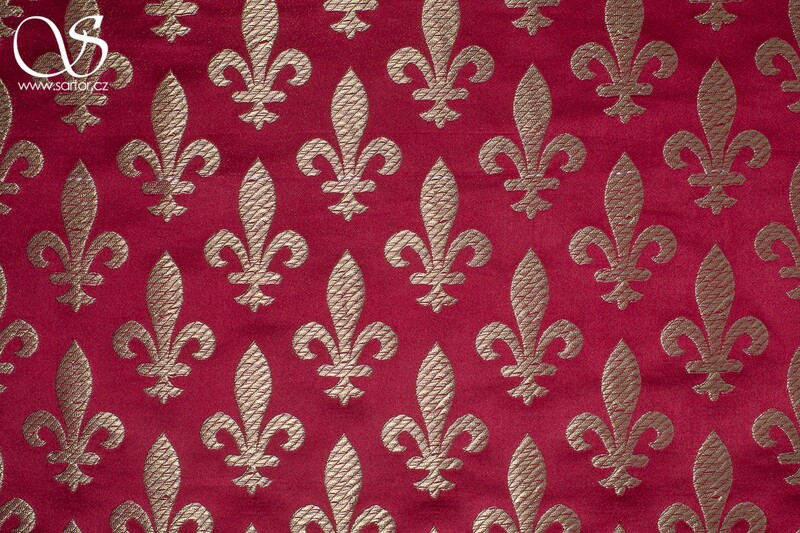 the heraldic motif of lily called "fleur-de-lis" was used as a royal symbol of France, but later on it was shown on many other heraldic symbols of cities (New Orleans to name one). 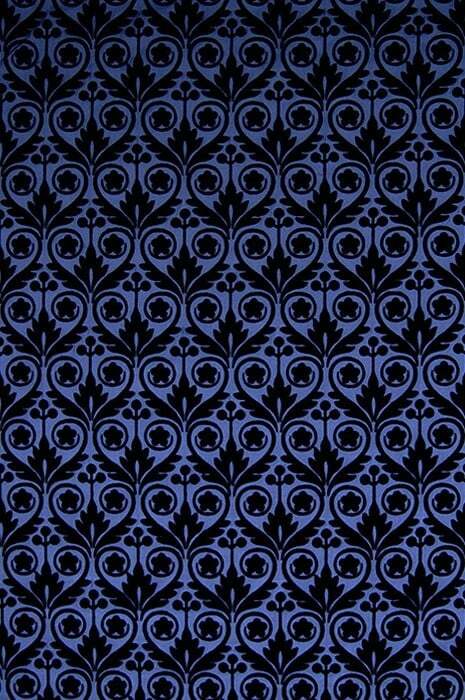 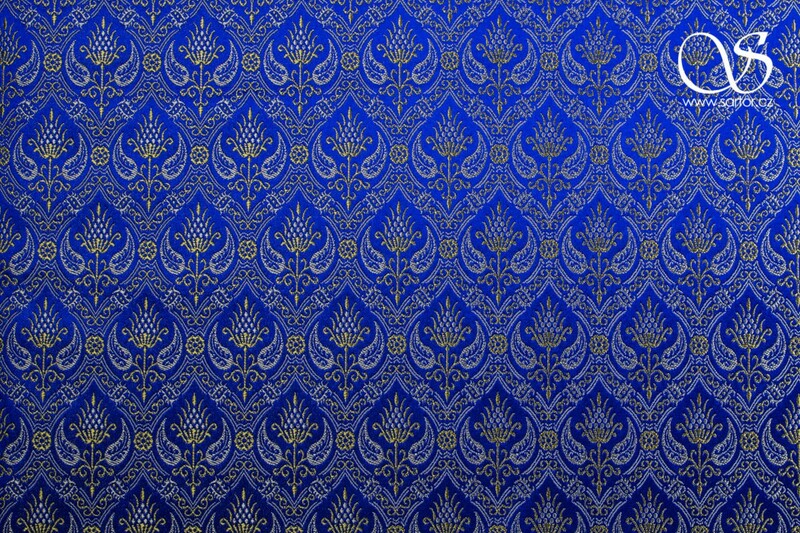 It was typically a golden pattern on a dark blue background. 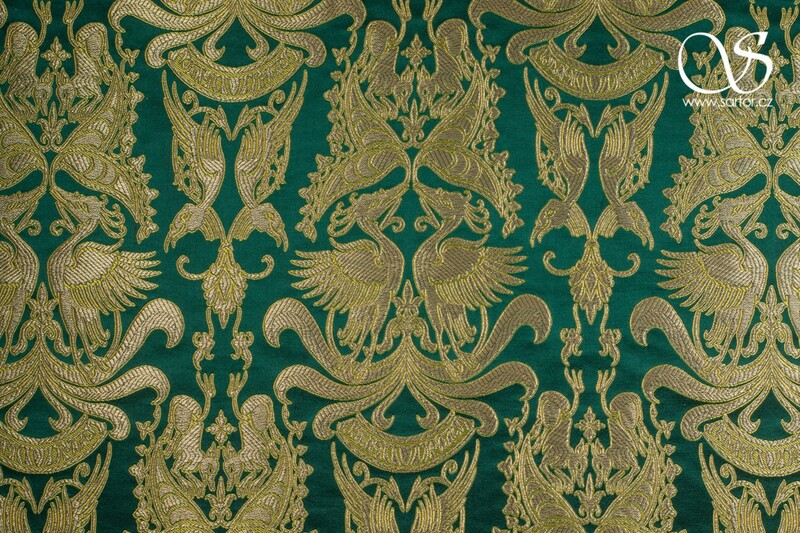 The original extant textile dated to the 13th century which we followed is deposited at the Metropolitan Museum in New York. 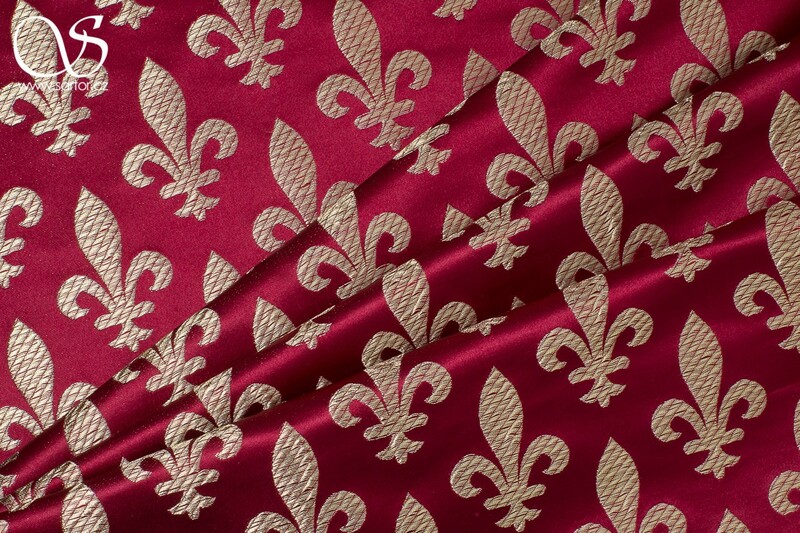 In our Pinterest Gallery we dedicated a separate board to the fleur-de-lis pattern.